Adele has been on a serious tour this year, hitting up city after city and making us all cry bitter tears from the very first note of "Hello." So it's no surprise the singer accepted her award for Top Billboard 200 Album via video. Instead of a live performance, we got to see Adele's dress in her debut music video for "Send My Love (To Your New Lover)." In the video, the singer looks absolutely stunning in an ethereal floral print, high-collared dress. To me, it just screams "Adele." 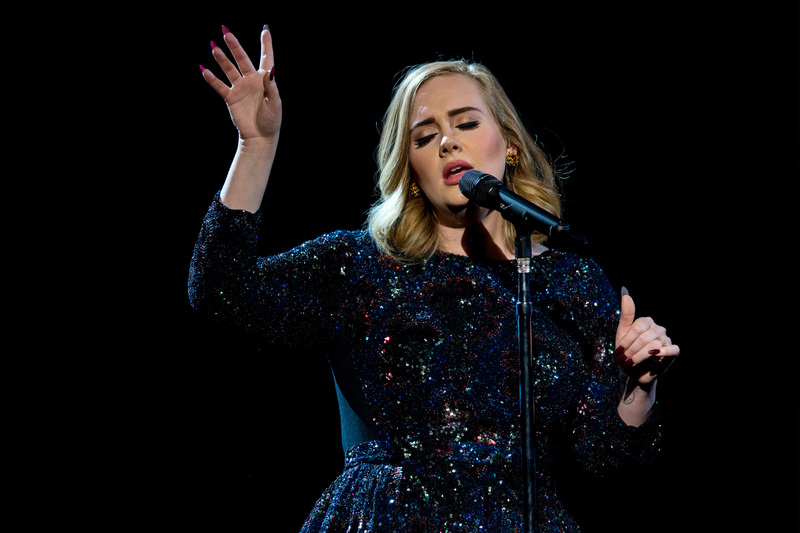 If you've been lucky enough to score tickets to one of her shows, then you already know that Adele is pretty much the classiest lady who ever was. But if not, take a look at her Instagram for a peak at one sparkly performance dress after another. They are seriously beautiful, and she looks great in every single one. The floral dress in her music video was right on par with all her other recent performance looks. I mean, when you're iconically beautiful, and so very talented, you really can't wear anything but an over-the-top gown. Am I right? Good job wowing us again, as usual, Adele. And good luck with snagging a award or two. You deserve it! Here are some beautiful examples of her recent looks. Good job, Adele! You totally deserve all the accolades in the world.